It is quite a wonderful shooting game. In the game, the harbor was attacked by many terrorists,you got a really hard mission this time since you have to help with elite the opponents and destroy all your enemies! Be attention to the target lens by using the space bar to open it before using the mouse to control aiming and shooting.This is quite a wonderful game that I like to play nowadays. Eliminate all the terrorists and be a super hero now! 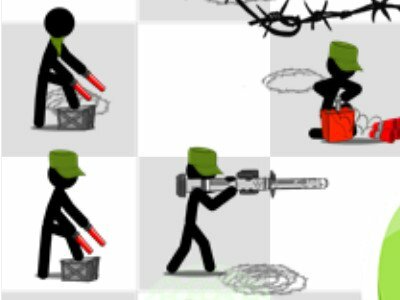 You can play Army Conflict free online shooting games at fogames. It has tags: Army,Shooting,Mouse Skill,Guns,. It has 4393 total plays and has been rated 83.1% (13 like and 3 dislike), find the fun and happy day. If you want to play more shooting games, we find some of the game: Army Of Ages, My Little Army, Immense Army and Warlords Epic Conflict. To play other games, go to the army games page, the shooting games page, or just check out the new games or best games page. Play Army Conflict online games, Fun and Happy.